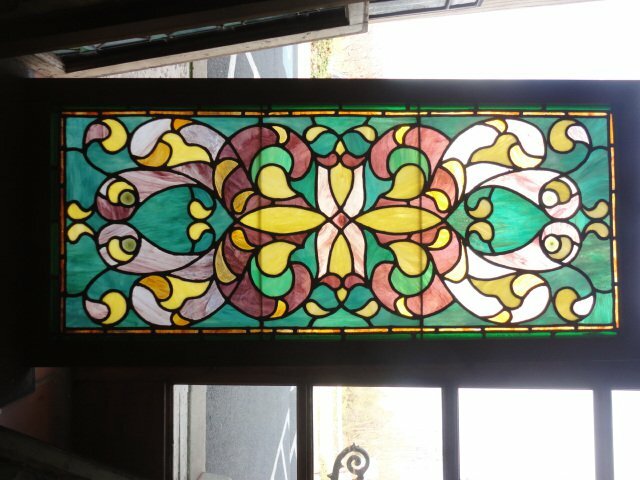 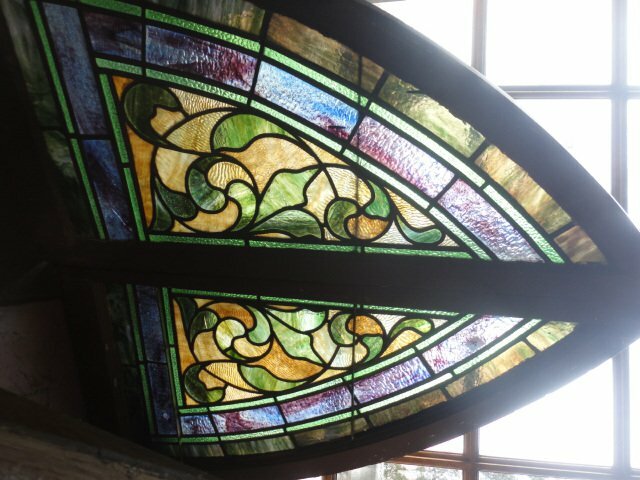 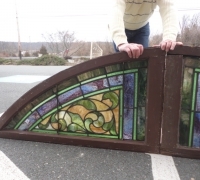 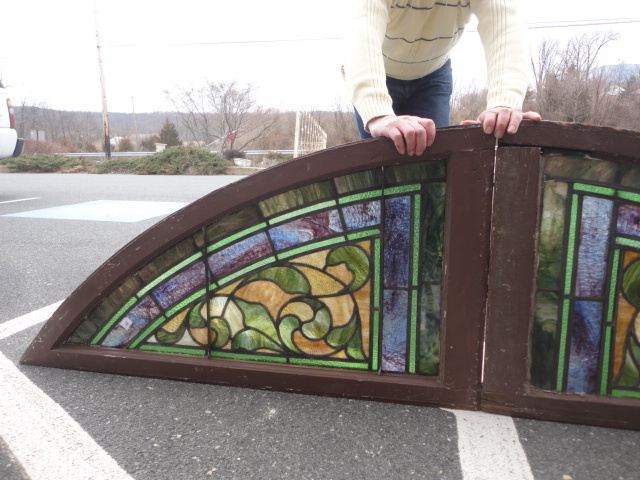 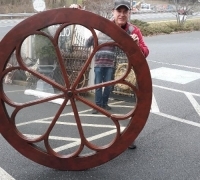 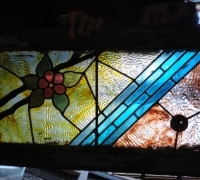 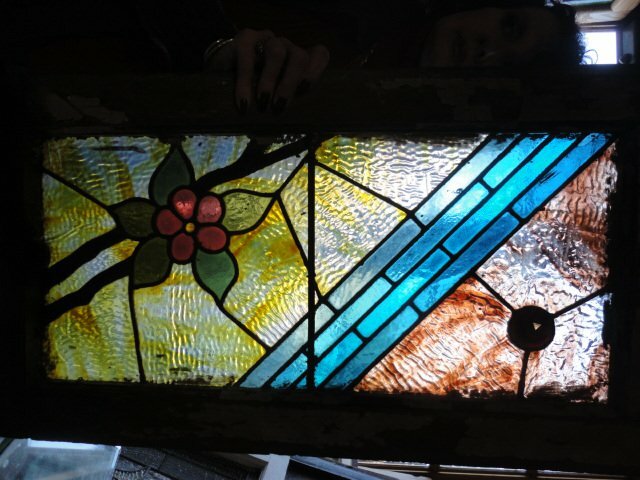 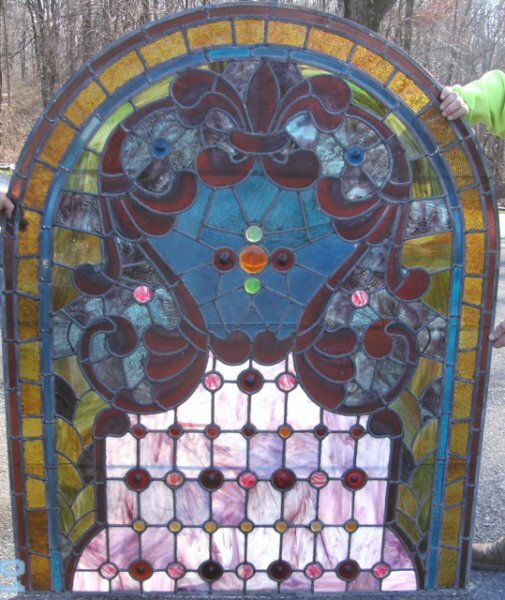 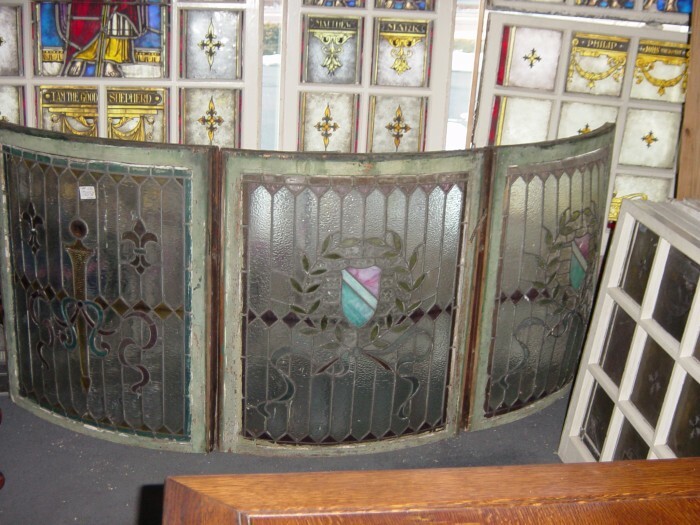 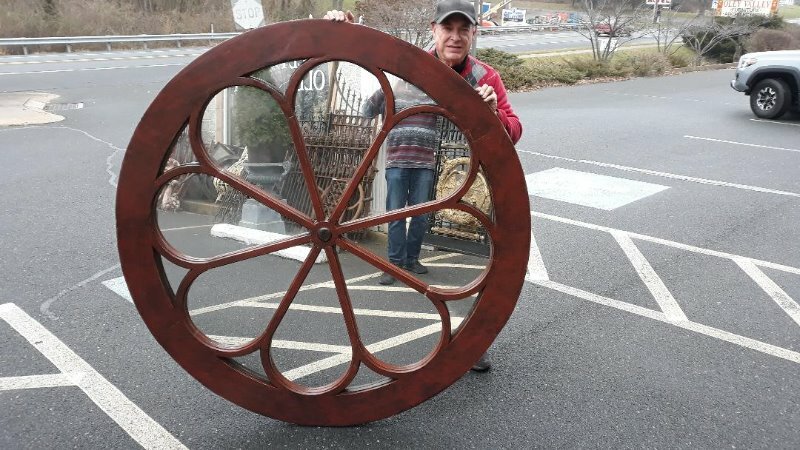 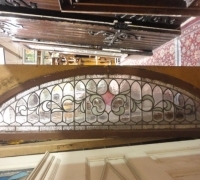 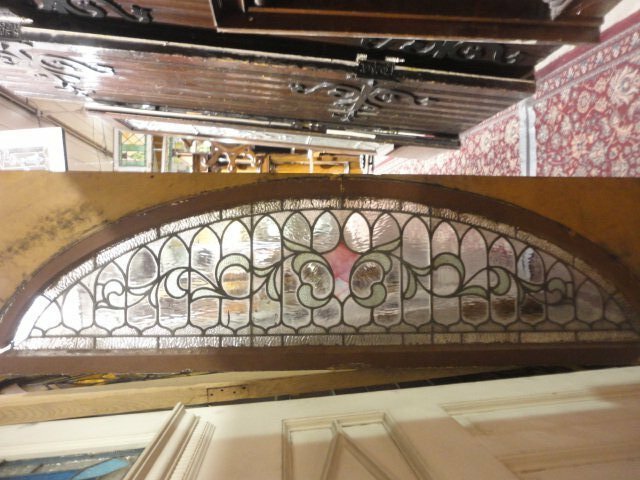 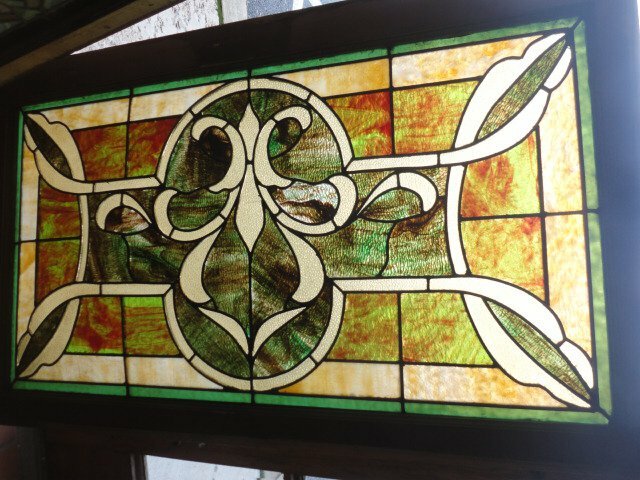 Antique Stained Glass Windows & Beveled Windows for Sale | Oley Valley Architectural Antiques Inc. 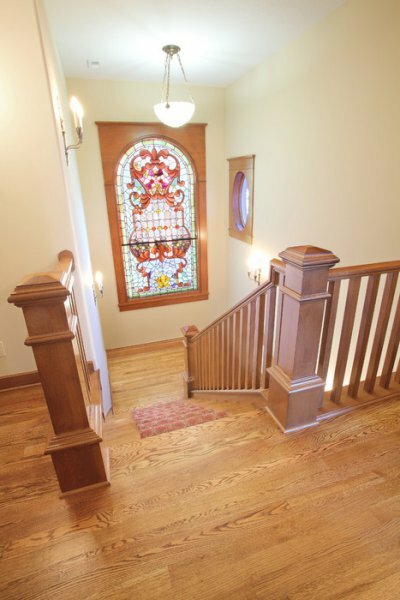 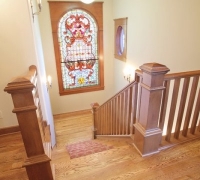 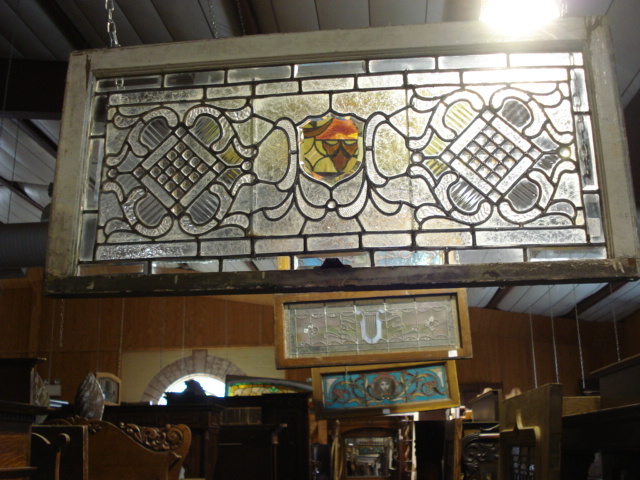 Nothing can enrich and transform a room quite like a beautiful antique stain glass or beveled glass window. 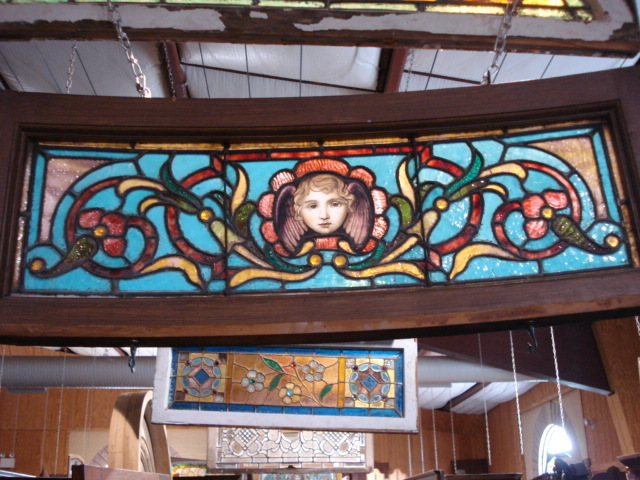 The purpose of an antique window is to beautify buildings, control light and sometimes to tell a story. 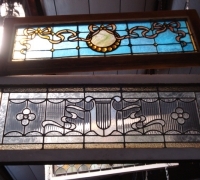 American antique glass windows from the 1880’s through the early 1900’s were used to enhance elegant homes, churches and other buildings with a large variety of shapes and sizes. 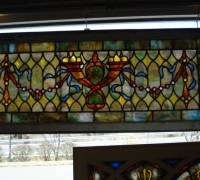 These windows used a variety of gorgeous styles of colored glass and hand crafted construction techniques. 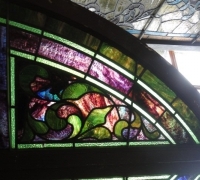 Rarely are these windows signed but each window has stylish subtleties that use a combination of different types of high quality glass with the handmade workmanship of each artisan. 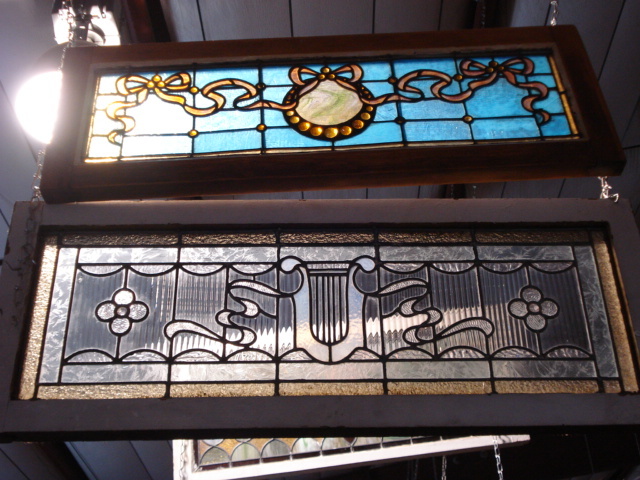 Windows of the Victorian era in America have very ornate designs, grand flourishes, and they frequently use hand cut jewels in their designs. 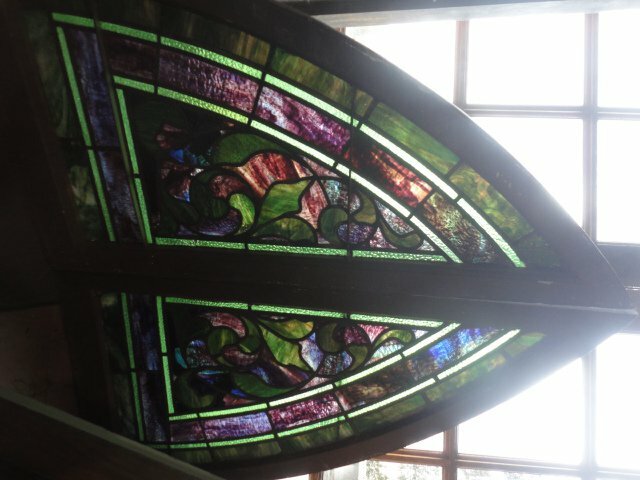 The designs of the windows could be non-figurative or may include narratives from the Bible, history or literature. 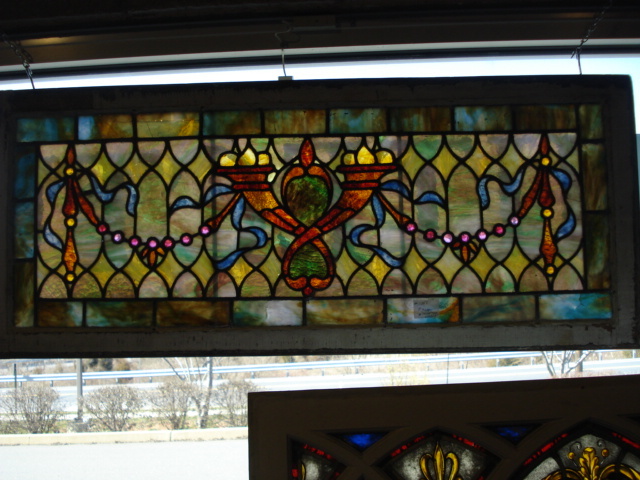 Episodes from the life of Christ, flora, fauna and landscapes or uniquely stylish designs are frequently used as subjects. 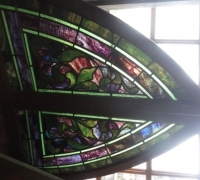 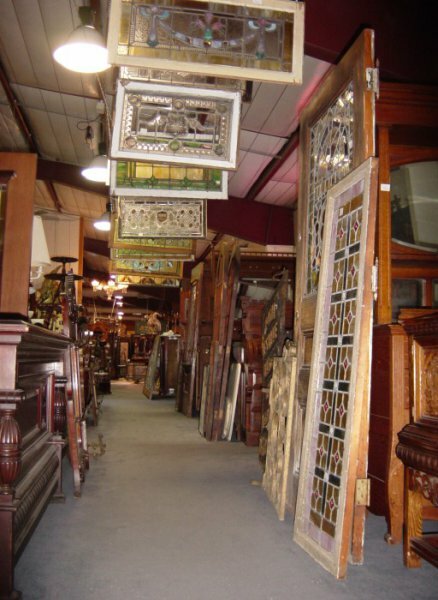 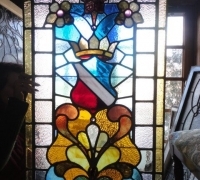 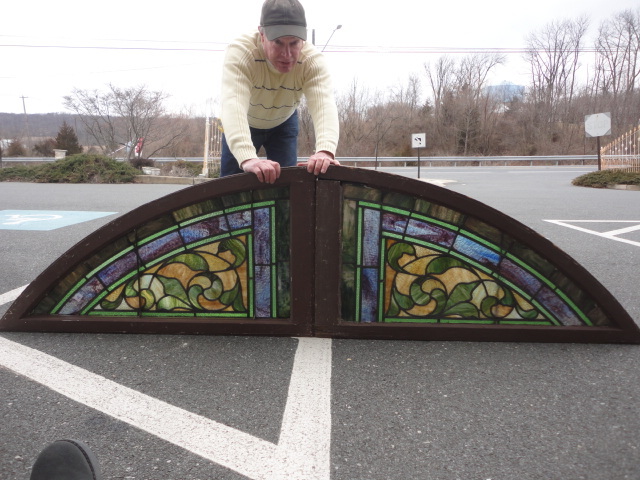 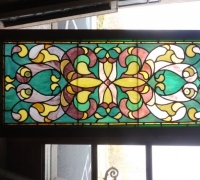 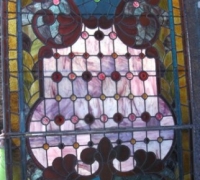 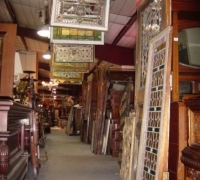 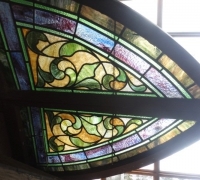 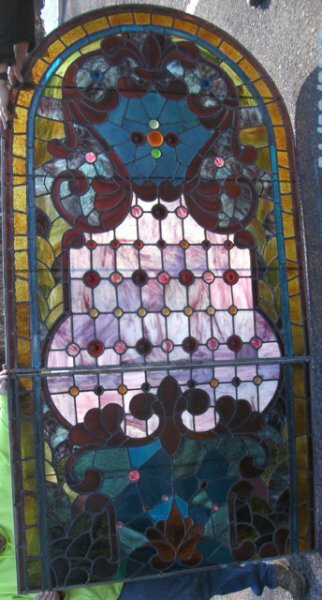 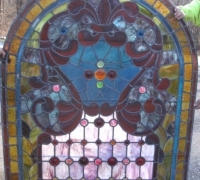 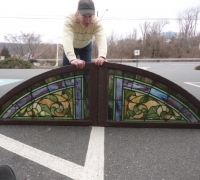 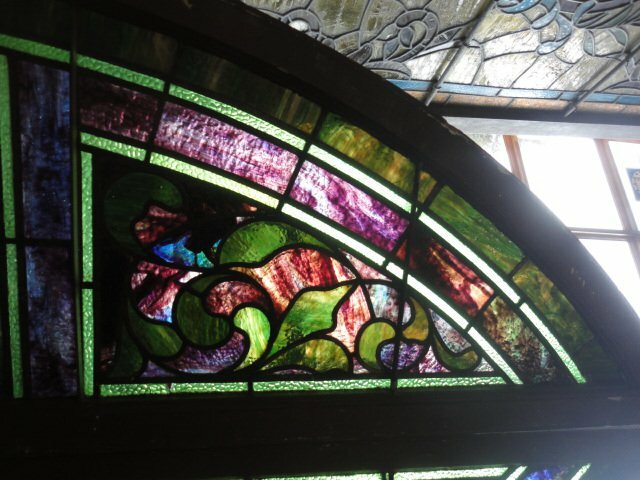 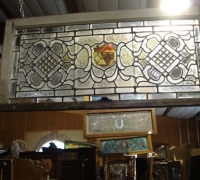 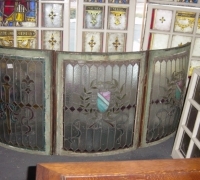 At Oley Valley Antiques we continually carry a large variety of antique stained glass and leaded glass designs in a variety of sizes and subject matter that can all be customized to fit any window opening. 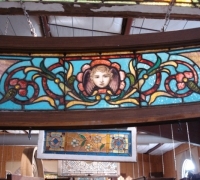 With hundreds of images to select from, we can help you select the perfect antique window for your project. 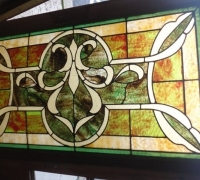 Check our website for our detailed photos of sold completed examples. 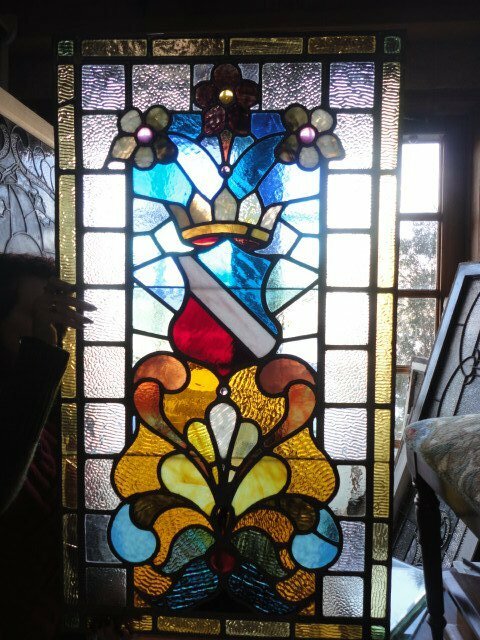 We can help you with any questions and our workshop can make your antique window a beautiful statement in any room.